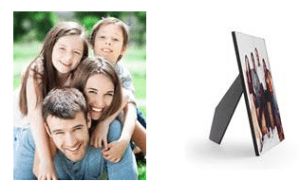 The Better Bungee has the most durable, top-of-the-line tie downs to fit every application; cargo control, ATV, Camping / Outdoor adventures, Motor Cycles, Boating, water sports, to mention a few. The Better Bungee products are made to withstand extreme temperatures and weather conditions, are resistant to oil, diesel fuel, salt water and most household chemicals. Made in the USA of a new high tech material that will not crack, break or become brittle and is virtually weightless, allowing The Better Bungee to safely stretch twice its original length but still retain its stretch. Available on Amazon.com, Gemplers.com, Imperial Supply and Grainger.com. The variety of straps, cords, ropes, lengths, colors and accessories make this product one of a kind. To learn more, visit www.thebetterbungee.com. Many people are embarrassed about their struggles opening those pesky bottles and cans. In fact, some people would rather forego some of their favorite beverages because of the difficulty in popping open certain tops. The magic Opener was created to end that frustrating battle with bottles once and for all. A person with Parkinson’s and arthritis won’t ever have to ask for help with the magic Opener. People who have sensitive skin or achy joints will no longer have a tough time at dinner parties or tailgate events. Your hand strength won’t determine your level of fun. 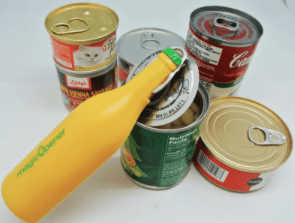 The magic Opener allows you to pop open tops in a healthy and safe way. · Opens most water bottles from Costco, Walmart, and most convenience stores. · Or easily pop on top, twist and voilà! Last year the New Zealand water company 1907Water launched its line of naturally sourced alkaline water to the US market. Now in 2016, 1907Water is available in retailers nationwide and they recently launched a new 10 L Bag in Box water with easy to pour spout. The new 1907Water’s 10 L Bag in Box water is made of 100% recycled BPA-free PET and are 100% recyclable. This box of water is a great product to store in the fridge or pantry, take camping, on boats, picnics etc. 1907Water is also available in 3 attractive sizes (MSRP 2 Liter $3.99, 1 liter $2.19, 500ml: $1.29). Perfect for your grad as they go off to college, the Shark® Rotator® Powered Lift-Away™ Speed is two vacuums in one – Upright and Powered Lift-Away – armed with advanced swivel steering for excellent control when maneuvering around furniture. The vacuum also has Anti-Allergen Complete Seal Technology® + HEPA that traps 99.99%* of dust and allergens inside the vacuum. Give mom the latest and greatest, the Ninja Coffee Bar™ to fill his “Best Dad Ever” mug. Auto-iQ™ One Touch Intelligence Technology delivers customizable options for smooth, rich coffee in a cup, travel mug or carafe. The Ninja Coffee Bar offers a variety of brewing options including Classic Brew, Rich Brew, Over Ice Brew and Specialty Brew. How about a versatile kitchen gadget that can do it all! The Nutri Ninja® Auto-iQ™ Compact System combines nutrient and vitamin extraction with high performance to make salsa, smoothies AND cookie dough all in one machine. This nutrient extractor, high-performance blender and food processor will be the kitchen tool that mom has always dreamed of. While single-serve coffee systems continue to gain popularity, there have always been drawbacks: weak coffee, the ability to brew only a small cup at a time, and most notably, flawed coffee capsule designs and water heating systems. Touch Coffee & Beverages is re-inventing the single-serve coffee platform with the release of its ground-breaking Touch® T526S brewer and re-engineered capsules. 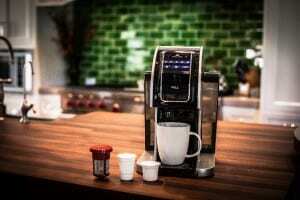 With Touch, you can customize your coffee experience and brew larger cups of coffee without sacrificing flavor. The T526S brewer allows you to choose from eight cup sizes (6, 8, 10, 12, 14, 16, or 18 ounces and carafe). Plus, its removable 90-ounce water tank has a greater capacity and is shorter in height than its counterparts, meaning you will be refilling less often, and it will be less awkward when you do. The Touch® T526S brewer, which comes with a reusable Refill Jumbo Cup™ and 26-ounce carafe, is currently available online and has an MSRP of $249.99. For additional information about Touch’s brewers, accessories and coffee, please visit www.TouchBeverages.com. Novosbed.com is the risk free memory foam company! 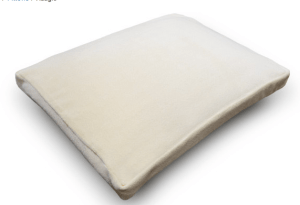 What better way to spoil your mom than to give her the gift of a good night’s sleep with a new memory foam pillow or silk duvet. What mom doesn’t love getting a personalized gift? This year, take her favorite photo from that family vacation or outing and turn it into a lasting memory they can cherish all year long. All products can be made at www.cvs.com/photo. Photo books: Starting at $5.99 and many options are available for free same-day pick up at your local CVS Pharmacy. 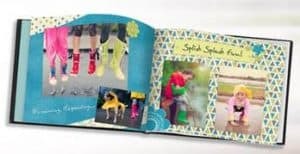 Customize with your favorite design, photos and messages to highlight all your special family memories. 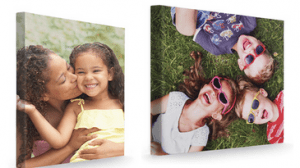 Canvases: Starting at $19.99 and available in many sizes to fit any space (including square 12×12)! Wood Panel Art: Starting at $29.99, these solid Wood Panels are perfect to display your favorite family photos. Creates a sleek and modern gift look that will freshen up any space! They also come in easel format for easy display on any surface (starting at $14.99). Metal Wall Art: Starting at $34.99. Printing on metal provides a muted yet luminous result. Plus, the attached wall-mount piece creates a lovely floating effect. They also come in easel format for easy display on any surface (starting at $14.99).